Planning a trip up north? Look no further than Littleton, NH! Rated one of the best Main Streets in the country, Littleton is known for a thriving community, extraordinary farm to table cuisine, award winning breweries, a strong music and arts community, and plenty of things to do - both indoors and outdoors. If you're looking for an all-in-one guide to the best weekend in a little mountain town, then this is the blog post for you. Read on to plan lodging, food and drink, outdoor activities, and indoor activities. Thayer’s Inn in downtown Littleton is a historic, visitor’s favorite with a full service bar restaurant. It is conveniently located right on Main Street, and is known as a unique and quaint little inn north of the White Mountains. Thayer’s is one of the best spots in downtown Littleton to catch a show and enjoy a well made cocktail with it. Another Littleton gem is The Beal House, (a colonial suite featured left) also conveniently located right next to Main Street. Recently renovated, this 1833 inn also features upscale “American tavern” cuisine and boasts brand new features throughout. 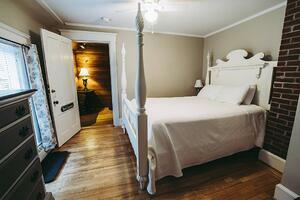 The Beal House is a much smaller location, with only six suites for rent. If you aren’t able to book a suite, do yourself a favor and go out for dinner at this astounding tavern and inn. If a New England style inn isn’t your style, there are more commercial options (further away from downtown) such as the Hampton Inn. 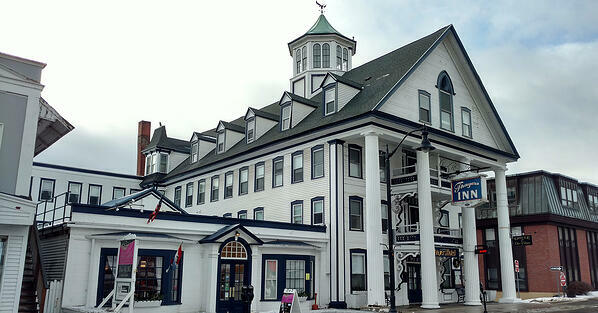 There are a few motels as well, or you can look for more fantastic lodging in nearby Franconia and Bethlehem. … to name a few! With all of these options, there is something for everyone who visits Littleton. In addition to our local small businesses, Littleton is also home to chain restaurants like the 99 Restaurant and Applebee’s. 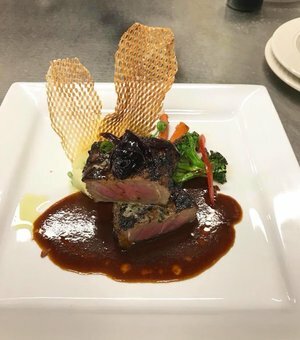 Whether you like trying something new, or like to stick to the standards, Littleton has got you covered. Not planning on leaving the hotel room this evening? Try your hotel’s restaurant (it’s likely delicious) or call for delivery (take-out options too). In Littleton, you can get quick and delicious delivery from Gold House of Pizza. On Yelp, it’s known as the best delivery option in the entire region. Luckily, if you’re already downtown food is not far away in any direction. Looking for dessert? Local baker extraordinaire Kaylee Klein (video right) is opening Crumb Bar on Main Street and is known for her metro level sweets that she sells at the weekly farmer’s market. Kaylee is also one of the best wedding cake, group event desserts, and pie bakers in the region and beyond. That being said, the locals are super excited about her storefront and you should be too. On the other hand, if you’re looking for places to enjoy a night on the town, there are a couple bars open into the evening. Thayer’s, in addition to having great food, also has a bar with an extensive cocktail menu. The bar is only open until 10 on the weekends, so no staying out too late here. For excellent local craft brews, check out Schilling Beer Co. and take a growler home with you! They are open until 11 on the weekends, so you have plenty of time to enjoy the long list of beers on tap and sample all of their locally renowned pizzas. If you’re willing to go outside of Littleton, there are breweries in Franconia and Bethlehem as well (and they’re new!). Rek-Lis Brewing Company in Bethlehem is open until 10 on the weekends and they host regular events such as trivia night, local art exhibits, spirits tastings, and holidays parties too! This year, Recklis is hosting a New Year’s Eve Gatsby Party. Buy your flapper costumes now! Iron Furnace Brewing in Franconia is open Fridays 4-8 and Saturdays 12-8. Try their golden ale, IPA, stouts, porters, and more! They also have a decent selection of appetizers and paninis to keep the belly full while you try out all the brews (and they’re delicious, too). Littleton Freehouse is a new taphouse opening mid-December and will be serving sandwiches, pub-style appetizers, salad and soup, pizza, and burgers. On the drink menu, the Littleton Freehouse is hosting beers from local New England microbreweries so you can try some of New England’s best all in one place. 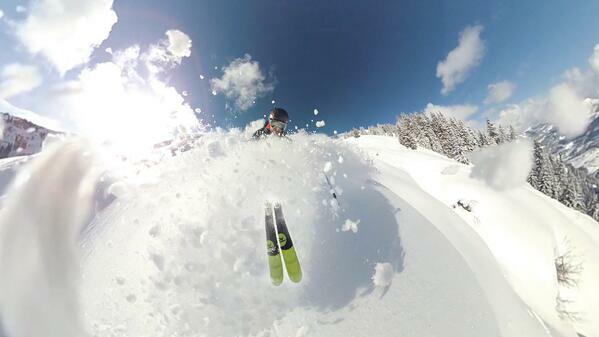 If you’re up in Littleton for the weekend, it’s likely you’re here for snowmobiling and skiing. Hopefully I’m not the first to tell you, but there’s so much more than that. While the convenient location near snowmobiling trails and skiing at Bretton Woods may be what brings visitors to Littleton, the plethora of outdoor activities, entertainment, and shopping is what keeps people coming back to the area. With close proximity to both Franconia Notch and Crawford Notch, this little mountain town sits right in between the two. Snowshoe along local woodland trails, take a walk along the Ammonoosuc River, ski or snowboard at Bretton Woods (or Cannon! ), snowmobile the trails right off Corridor 11, and enjoy a hot cup of coffee inside the covered bridge with amazing views of the river as it freezes over. In addition to being known for endless outdoor activities year round, Littleton also has indoor activities to keep up the fun and keep your toes warm! Explore Main Street’s storefronts such as the Little City Thrift Store, Emma and Co. Consignment Boutique, Time to Consign, Little Red Wagon, Lahout’s Summit Shop, Chutters Candy Counter, Little Village Toy and Book Shop, Aylakai, Littleton Bike and Fitness, The Little Herb Shoppe, Just L Modern Antiques, Pentimento Gift Shop, Northern Lights Music, Bella Funk Boutique, Saranac Street Antiques, and The Healthy Rhino are just some of Littleton’s small business storefronts. 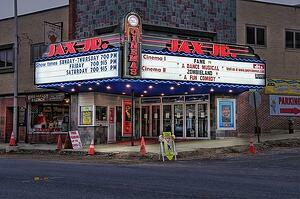 For entertainment, catch a movie at the historic Jax Jr. Cinemas (pictured left) on Main Street or catch some live music (check online to see what restaurants are hosting shows). Local underground art, performance, and music space The Loading Dock is a fresh, new experience in downtown Littleton. Check their website or Facebook and catch a one of a kind live music performance for a very low cost. The venue is also BYOB, so be sure to bring your favorite crowler of beer from Schilling Beer Co. while you’re at it. In warmer weather, Littleton is known for dedication to music and the arts due to the “Music on Main St.” initiative locals have taken on. Painted pianos adorn the storefronts and the local park has “outdoor instruments” for all to play and enjoy. I imagine you can still use these in the wintertime, but be sure to wear gloves! In addition to an impressive food and music scene, Littleton also has some really cool art museums throughout the downtown and immediate region. 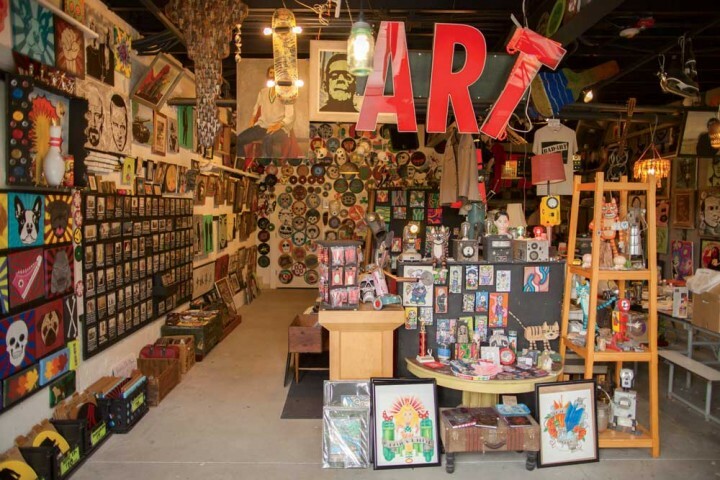 In downtown Littleton, Bad Art (pictured left) is a funky shop that sells locally consigned art, stickers, antiques, vinyls, and more. Get a taste of the local art scene and enjoy artwork at many levels of experience and mediums. Or, for a more refined experience, check out the Littleton Fine Craft Gallery or the North of The Notch art gallery. For a more detailed explanation of the local art scene and what to see while you’re in Littleton, check out this blog post, “Art on Main Street: Discover Littleton’s Creative Side”. Learn how you can take classes from the Littleton Studio School! Exhausted from all the business? Treat yourself to an hour (or five) of relaxation and book an appointment with any of the spas, salons, or massage parlors conveniently located right downtown. Fresh Salon and Day Spa, Insparations Beauty Salon (pictured left), Aga’Spa Skin and Body, Littleton Nails and Spa, and Bingo Nails and Spa are just a few of the places to relax your body and mind in Littleton. More into adventure? 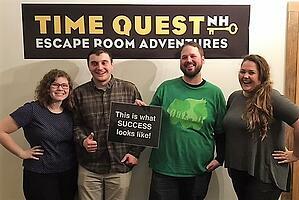 Downtown Littleton is also home to Time Quest NH, an escape room with two mystery rooms: “John Murphy, Private Investigator” and “The General Store”. For $25 per person, you can spend an hour in a room with your family and friends trying to crack the code and escape! If you haven’t tried an escape room yet, it’s definitely a bucket list activity to cross off the list. Congrats! Now you have the local knowledge in the palm of your hand to plan the ultimate weekend away in Littleton. Whether you’re planning a family trip, friends getaway, special occasion, or couple’s retreat, downtown Littleton has everything you need to have an absolute blast. Book your stay, choose a couple of bucket list breweries or restaurants to hit, pick a couple local spots to check out, and plan a night out on the town, and you’re all set. Don’t thank us now, thank us after you’ve had the best weekend a little mountain town can offer. While you’re here, don’t forget to stop into Chutters, the world’s longest candy counter! If you’d like to read more about Chutters Candy Counter, Littleton, and other nearby attractions, subscribe to our email newsletter! We’ll send you an update when we publish new blog posts so you can stay updated on all the goings on.